← Is renting cheaper than owning? FSBO (For Sale By Owner) – Don’t go it alone!!! Whether you are buying or selling a home and the home is a FOR SALE BY OWNER (FSBO) transaction, you need to think about which Title Company you want to handle your transaction. Usually, a realtor serves as the middle man, but with no realtor, you are left to interact solely on your own with the title agency. Trust is key to a successful FSBO closing; you need to feel comfortable with the title agency you choose. No matter what kind of property transaction is occurring, realtor-assisted or FSBO, all home sales require a real estate title agency. It is important to know that no matter what agency you choose, that agency is a completely impartial service provider. They don’t work for either party, the agencies only concern is in making sure that the closing happens. The role of the title agency in a FSBO transaction is to make sure that the transaction closes on time. In order for this to happen, they make sure all of the necessary documentation and paperwork is properly filled out and filed accordingly. The title agency will be the point of contact for everyone involved, including the mortgage lender. They will do a title search on the property and order a survey, if needed. They will also host and facilitate the actual closing of the home. If the title agency is an escrow agent, they can hold escrow funds and pay the property taxes. Above everything else, remember that the title agency is there to help you and make the closing go as smooth as possible. Be open, communicate with them, ask questions, and provide them with any documentation or materials they need. Remember, a title agency wants the sale to close as much as you do! Here at Title Junction, we want to be able to assist you and make you feel comfortable. 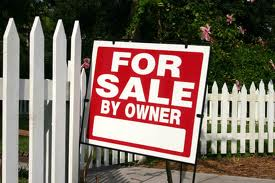 Call us now at 239-415-6574 to inquire about your For Sale by Owner property. Posted on May 11, 2012, in Title and tagged Buy a Home, Closing, Escrow Agent, For Sale By Owner, FSBO, Jennifer Ferri, Lender, Mortgage, Property Taxes, Realtor, SWFL Real Estate, Title Agency, Title Insurance, Title Junction, Title Work. Bookmark the permalink. Leave a comment.